(Pointed-leaf Tick Trefoil (Desmodium glutinosum) - 02) Pointed-leaf tick trefoil are members of the Pea family (Fabaceae). 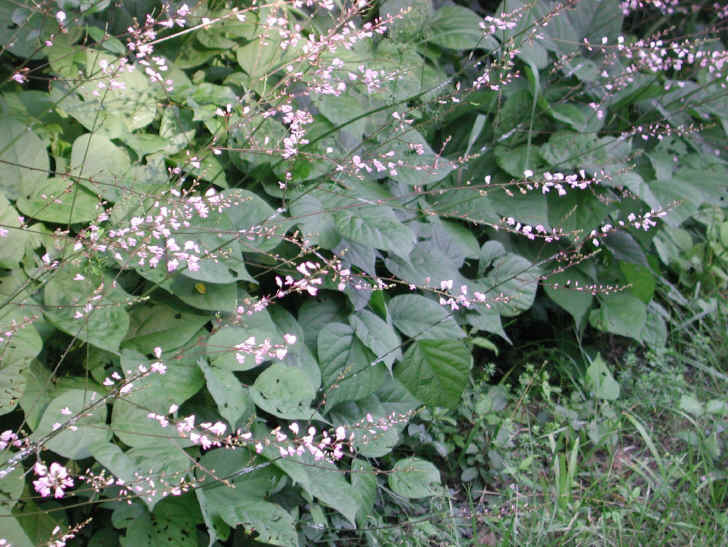 They bloom from June to September, and can grow to heights of 1 to 3 feet (1 meter). 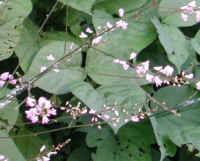 The 1/4 inch flowers grow on long slender leafless stalks.